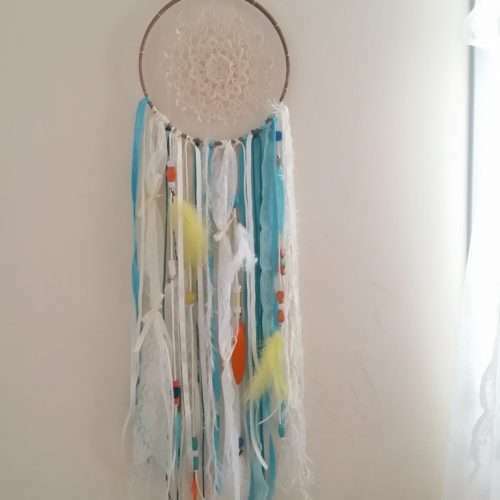 Bright heart dream catcher would be a lovely gift for a loved one. 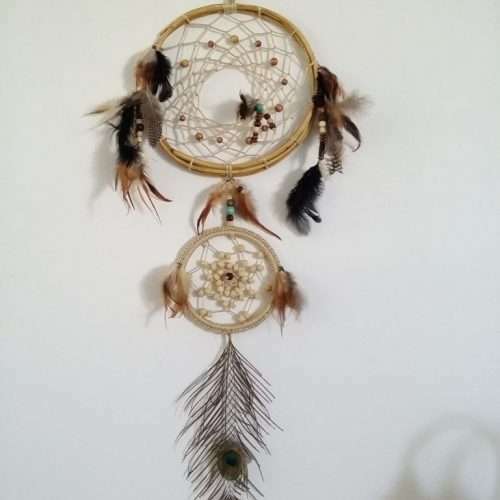 It’s a perfect wall art in any boho or modern decor bedroom wall. 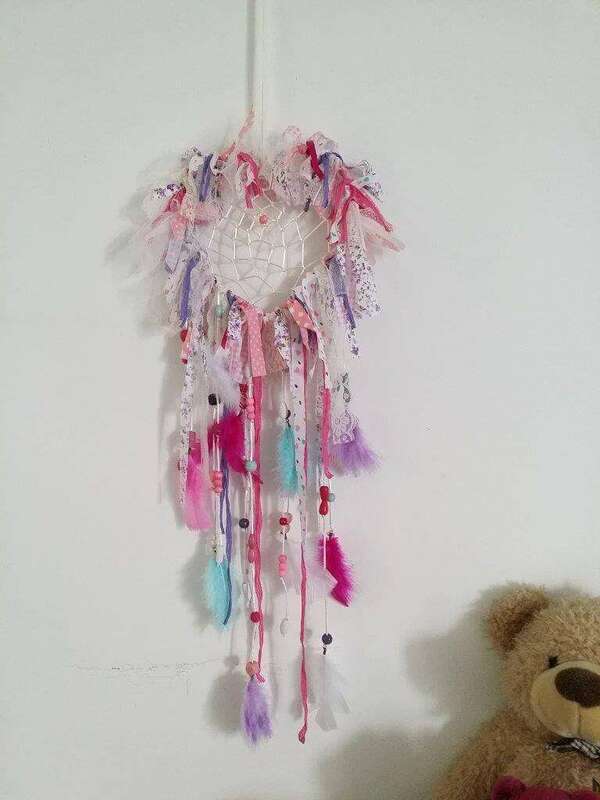 If she loves pink & purples she will love this boho dreamcatcher. 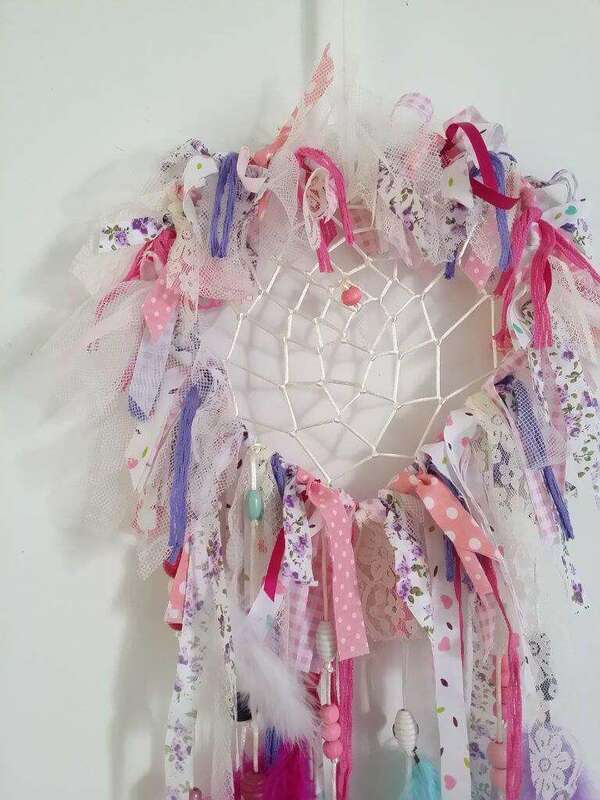 This modern Dream Catcher heart shape hoop is made out of wire and it is decorated with fabric scraps in shades of pink and purples, ribbons, lace and ribbon yarns. 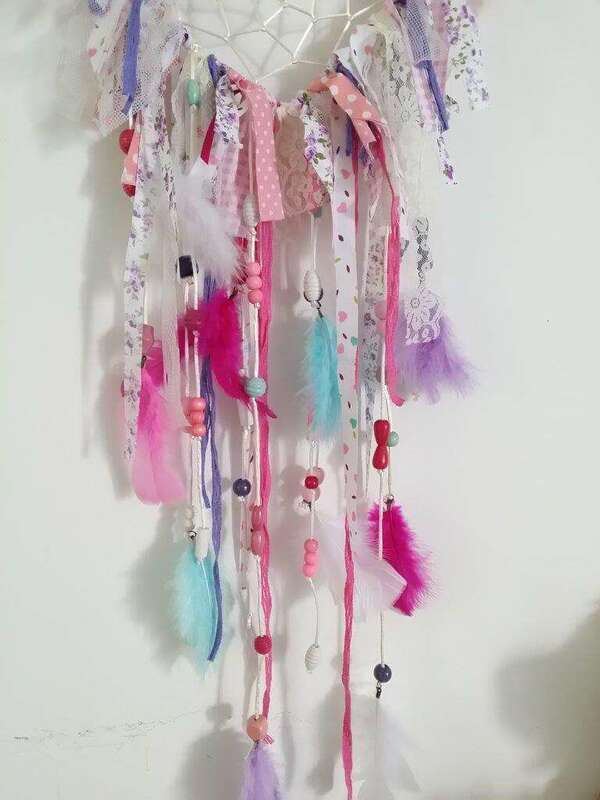 Its droppings are filled with small and large beads and assorted feathers. 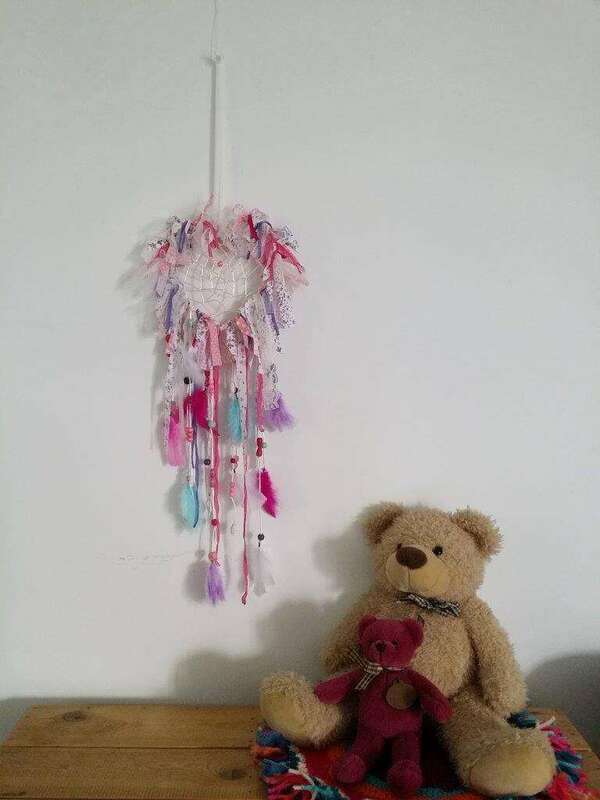 Ideal to be part of a nursery decor or as a special gift for a newborn. 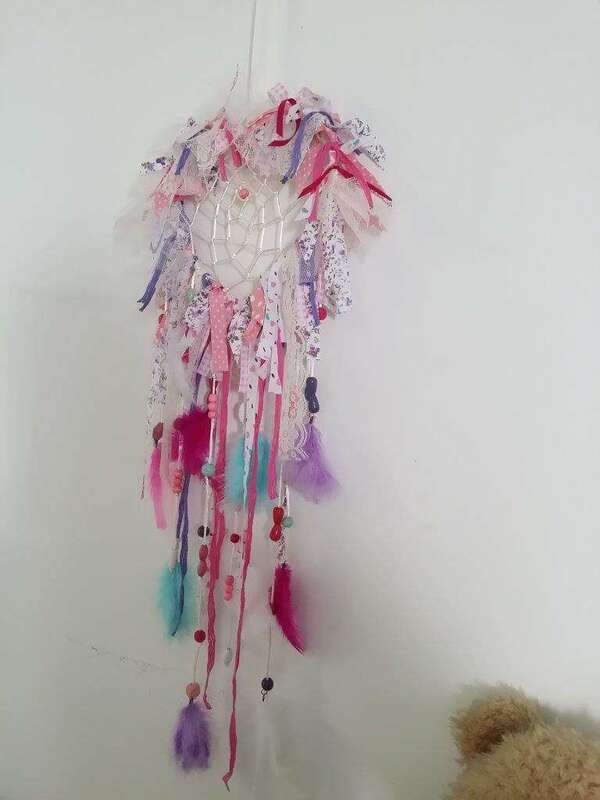 Want to see more of my handmade Dream Catchers? Visit my store here at Yiassu Marketplace!